No debate. Just sweet smiles between bikes and cars. For Christmas last year my dad gave me an IOU voucher to do up my old bike. And he did. New breaks. New cables. New tyres. New seat. New colour. I chose green. It’s great. It takes me to work. To the market. To the pub. Through the rain, the wind and the sunshine. Always for free and always on time. There are the the odd moments of abuse when he pops a tyre or snaps a break cable. But I forgive, fix, forget and get straight back on. I ride on bike paths and on the road. I have three bikes. I ride slow in cool clothes on my cruising green machine and I ride down beach road in lycra on a bike that cost me too much. I also own a car. I have a little yellow thing that some Japanese company pumped out in 1991 and it’s called Bertie the Banana. He is a cool car. I like to drive him. Even though he doesn’t get out that often, the admiration I have for my bike and my car is almost equal. When I am driving I get frustrated by cyclists that run red lights and don’t use arm signals. They give me a bad reputation. As much as I feel unique and special when I am on my bike, to drivers, we are one. We are bikes. So when I am on my bike I always smile at cars. I always let them go first. I apologise – even when I am right. I want to bridge the divide and foster mutual respect for each of us. I am sick of the driver-cyclist divide. The debate is tiring – I am on both sides – and I am not sure my smile and friendly cyclist attitude is having much impact. 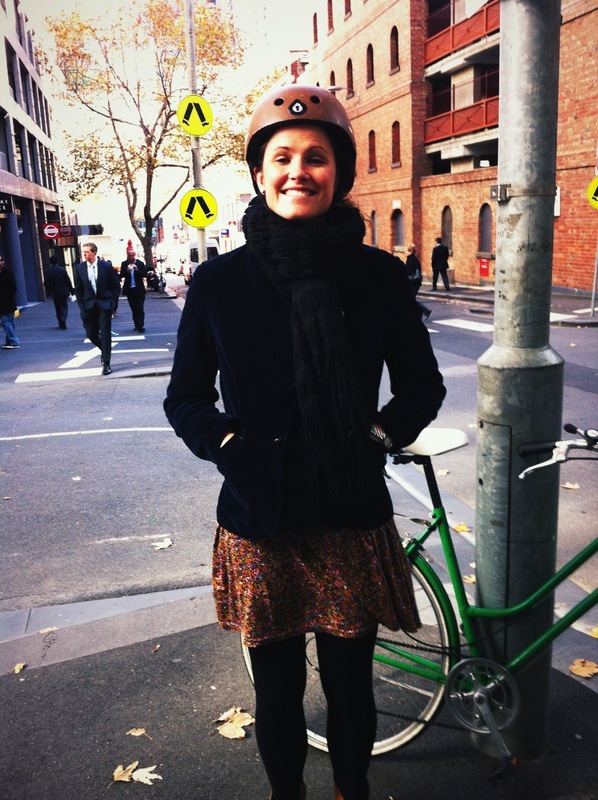 * Cycle Space: Today I funded a project on Pozible called Cycle Space. It is a book which connects cycling, architecture, design and urban planning to create healthier and better looking cities. Awesome. * Why do you Ride? : The other week I supported the Why do you Ride blog by being profiled about what keeps me on my bike. It is a blog dedicated to sharing the various reasons people choose to ride a bike. No preaching. Just nice, honest snapshots. Time to move past the debate between bikes and cars. Just accept we are both on the road and make roads that accept us both. Done.